Lucknow chikankari is a very famous art of Lucknow and it's been there from last 400 years. Chikan embroidery comprises of 32 types of stitches. The type of threads used for doing this hand embroidery are anchor and resham. Though this kind of work happens only in villages because of low cost of resources . These resources are called Artisans. Lucknow is hub for chikankari embroidery and the entire art is located in and around 100 kms of the area. There are over 1000 shops of Lucknow chikan embroidery in Lucknow itself. But there are people in India and abroad who are looking for this beautiful embroidery but not located in Lucknow. Though there are many ecommerce companies dedicated to sell Lucknow hand embroidery but if you want to purchase Lucknow apparel for your wedding, festivals, ceremonies , parties or for office wear, you can check it out from Dress365days. If you are looking and planning for your wedding, you can't avoid Dress365days. Yes, you read it right. Because when it comes to Lucknowi Chikankari Embroidery, Dress365days is the best website you can encounter. They provide all kind of wedding designer dresses that include Bridal Lehengas with Chikankari Embroidery along with golden muqaish , Kamdani or badla work. Top Bollywood Actor Kangana Ranaut was recently spotted in a Designer Chikankari Pure Georgette Suit. Lucknowi Chikankari has always been in trend coz of its comfort and elegance. But in the recent times Chikankari Hand Embroidered Dresses have come in spotlight coz of actors and TV personalities endorsing them. All thanks to the Fashion Designers who have been giving these fabrics a twist. Chikankari is available in various fabrics like cotton, Net, Pure Georgette, Faux georgette and Tussar Silk. Fabrics can be customised by adding laces and Gota or additional embroideries on them. The art of needlework was and will always be in trend and is a must have for every women's wardrobe. Ye Hai Mohabbatein is in light because of their stars Ishita and Raman. The sizzling chemistry between these two duo is cynosure of all eyes. 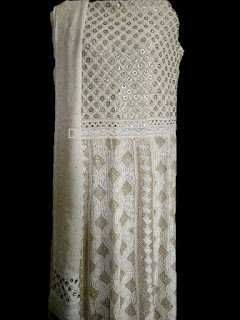 At the same time, the chikankari dresses (Kurtis) wore by Ishita is also attracting many ladies. 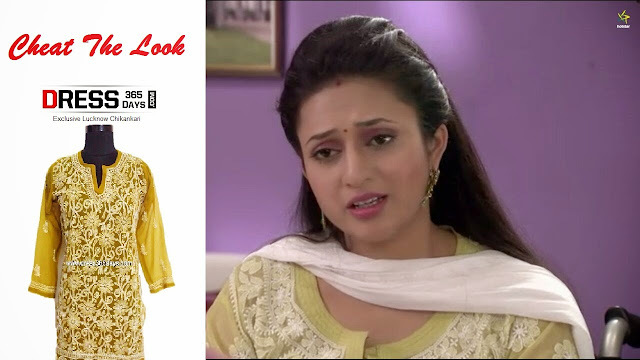 Here is the cheat book of Ishita from Ye Hai Mohabbatein. You can buy these type of dresses online. Ishita's most of the dress collection is Lucknow Chikankari hand embroidered . 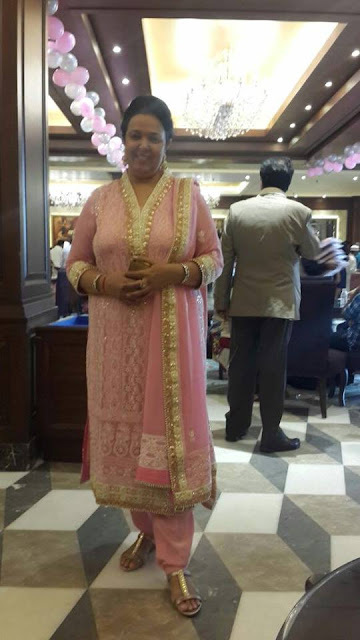 She loves to wear Chiffon /Georgette Kurtis with resham / anchor thread hand embroidery. There are plenty of Chikankari Kurtis you can buy online from Dress365days . Here is the link of all Georgette Chiffon Chikan Kurtis . Marriage, the moment when the dreams come true, a very special moment in the life of both men and women, that moment for which a woman weaves her dreams long before. Let us keep its divine back sketch apart and have an outside beat-up on its miscellaneous specialties. What’s that special about a marriage outlook of a bride or else what should be special? There is no woman who will never love to look pretty for her marriage. Moreover for her it’s that obvious platform where she becomes the attraction of mass. Yeah, marriage the one and only time, a woman gets a chance to become Kareena or Madhuri of the day. So it’s highly clear that everything we choose for the day should be the special among the specials as it has to do something to glitter up her persona.